are all collinear with the orthocenter of the triangle. Points A,B,C are free objects defining triangle ABC & (therefore) the circumcircle. 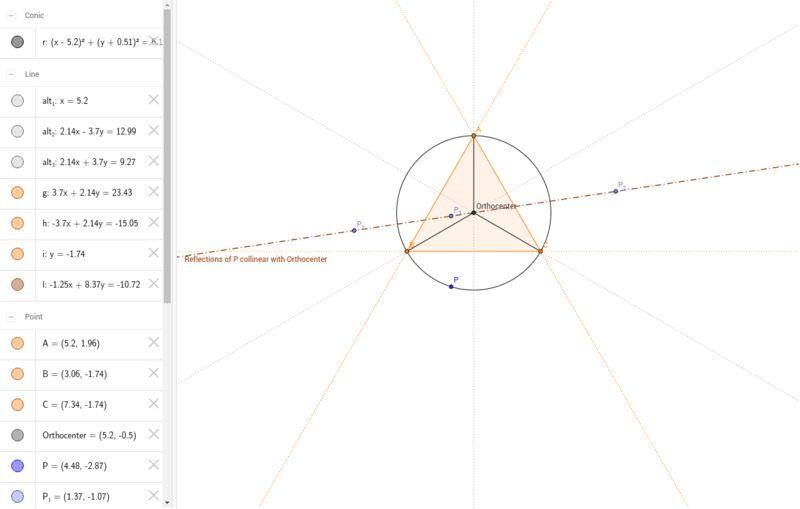 Orthocenter is point of intersection for all three altitudes of triangle ABC.